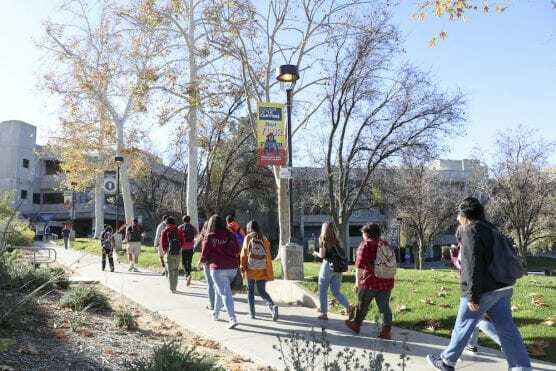 College of the Canyons was recognized by Washington Monthly magazine as one of America’s Best Colleges for Student Voting for its commitment to inspiring students to vote and actively participate in community decisions. The magazine highlighted more than 140 institutions around the country in a first-of-its-kind effort to document colleges’ and universities’ efforts in promoting civic engagement. “Just as citizens have a responsibility to vote, we have a responsibility to promote civic engagement among the next generation. We are proud to be recognized by this report and we are proud of our students who are participating in the democratic process,” said Patty Robinson, Faculty Director, Civic and Community Engagement Initiatives at the college. On many college and university campuses, less than half of eligible student voters exercise their democratic right to cast a ballot in presidential elections. During election seasons, COC hosts numerous discussion panels and distributes nonpartisan materials that provide additional information on propositions and candidates. The school also participates in the National Study of Learning, Voting, and Engagement (NSLVE), which provides colleges and universities with data on student registration and voting rates. These numbers provide benchmarks to measure the success of future voting engagement efforts. COC also participates in the ALL IN Campus Democracy Challenge, a national, nonpartisan awards program recognizing colleges and universities for improving civic learning, political engagement, and student voting rates. As a part of this initiative, students, faculty, and staff have worked together to develop and implement an action plan to increase voting and civic engagement.